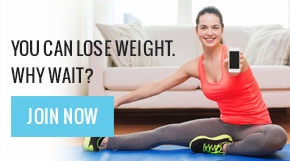 HelloFit – How it works | Login, Workout, Lose Weight. Our system makes weight loss simple with a comprehensive, 90-day exercise program that can help virtually anyone reach their fitness goals. Members login and complete the exercise session for the day, and that’s it. No more guesswork, no more gyms - Just a program that works. Each week you can expect fun, challenging, strategically planned workouts designed to meet recommended exercise guidelines. These workouts can be conveniently streamed at home, on any device. No more DVDs to keep track of! This comprehensive program covers all components of fitness each week - muscular strength and endurance, cardiovascular endurance, functional fitness, and flexibility. We’ve done all the planning for you, so you can focus on what’s most important - your goals. We promise if you use HelloFit as recommended, you’ll lose weight and be healthier directly as a result.